Demonstration projects funded by the Australian Government under a $250,000 proof-of-concept grant have proved that the SecureMat® technology works in three settings: a large outdoor security system to protect large perimeters, an indoor system to monitor and report on people movements in real time and a heavy-duty safety system for factories. 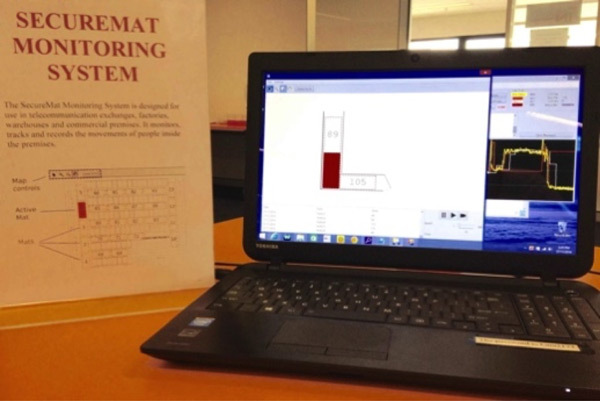 Three different systems based on the SecureMat® technology were designed, manufactured and trialled with industry participants, with test results being recorded, reviews conducted, technical reports prepared and cost-benefit analyses undertaken. Multiple tests of this large outdoor system confirmed that the SecureMat® technology performed to specifications and could increase the effectiveness of other sensors. 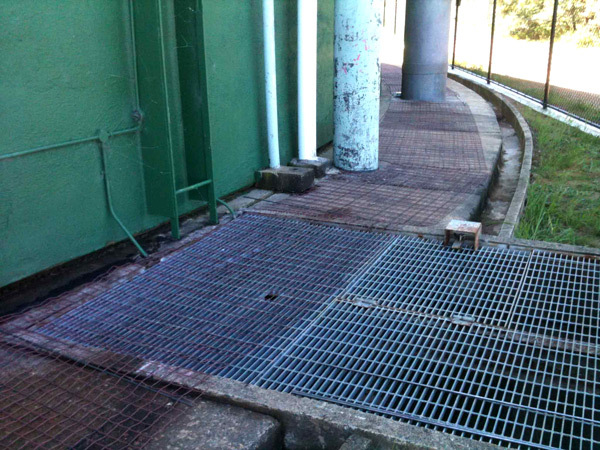 A cost-benefit analysis demonstrated that for the security of this water storage tank, and for the security of outdoor utility infrastructure generally, the SecureMat® provided a significant reduction in the incidence of environmental false alarms sufficient to justify its installation. The second proof-of-concept demonstration project was a monitoring system for telecommunications data centres and other buildings that was installed at the Canberra Innovation Network in Moore Street, Civic. The project involved monitoring people movements in an exchange, with reporting on a stand-alone visual display rather than an alarm panel. It comprised multiple small zones of about two metres long within larger mats of up to 50 metres. PSI developed a completely new type of SecureMat® system for this project. Instead of monitoring occasional security threat events this system provided continuous 24/7 data logging and allowed for real-time analysis. The data centre monitoring system demonstrated that it could monitor and log people movements on a 24/7 continuous basis, alert management to physical presence on the floor in real time, identify the threat source and direct other sensors such as CCTV to facilitate accurate threat assessment. The third proof-of-concept demonstration project comprised trial systems installed in doorways at One Steel factories in Mayfield, Newcastle and Chipping Norton, Sydney. These heavy-duty industrial sensor mat systems proved that the SecureMat® could be used to protect workers as well as assets. The mats operated successfully during the trial and a cost-benefit analysis indicated that the product could deliver a significant economic benefit in the form of lower than expected workplace health and safety costs from industrial injuries. Importantly, this was the first time the SecureMat® technology was extended from security to safety applications.